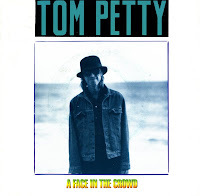 Tom Petty's 'A face in the crowd' was written and produced by Tom Petty and Jeff Lynne, like most of the material on his album 'Full moon fever'. The track has a beautiful warm, relaxed sound that seemed to please especially the Dutch audience. The single peaked at nnumber 23 in the Netherlands, whereas it stalled at number 93 in the UK singles chart and number 46 in the US Billboard Hot 100. 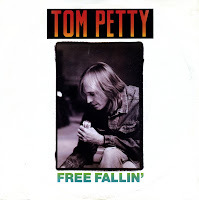 'Free Fallin'' is the opening track from Tom Petty's 1989 solo album, 'Full moon fever'. The song was written by Petty and his writing partner for the album, Jeff Lynne. The duo wrote and recorded the single in two days, making it the first song completed for the album. The single peaked at number 7 on the Billboard Hot 100 in January 1990. In the UK it stalled at number 64. 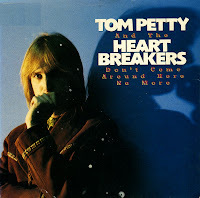 'Don't come around here no more' is a track from Tom Petty and the Heartbreakers' 1985 album 'Southern accents' and one of Tom Petty's biggest hits. The track was co-written and co-produced with David A. Stewart of Eurythmics. The original inspiration was a romantic encounter that Stewart had with Stevie Nicks of Fleetwood Mac. The single peaked at number 13 in the US Billboard Hot 100 and number 50 in the UK singles chart. Tom Petty & the Heartbreakers formed in 1976 when Tom Petty, Mike Campbell and Benmont Tench left the band Mudcrutch. 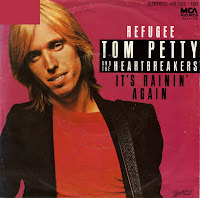 'Refugee' was released in 1980 as the second single from their album 'Damn the torpedoes'. The single peaked at number 15 in the US Billboard Hot 100 and number 21 in the Netherlands. I hadn't heard this song in a long time when I came across it on television in 1995. Only a week later, I found the single. I still rate this as a pretty strange coincidence.